When a story is lifted from the pages from a book to take life in another form (film, theatre production or a television show), I don’t know about you but I often hold my breath. Sometimes it can soar from the pages and sometimes….well, it can crash (let’s be honest). With school holidays knocking on the door, we find two of our favourite childhood classics have been converted to film: Yet another Peter Pan adaptation is released in Pan and the all-time Australian favourite Blinky Bill. If you are thinking of taking the kids to see either of these movies this school holidays, it’s a great opportunity to read the books first so you can discuss differences between the two. We’re also super proud of Tim Minchin’s production of Matilda, showing to rave reviews! 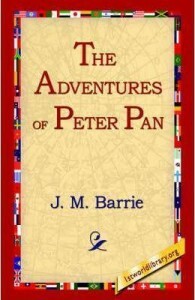 We all know the story: a mischievous boy that never grows up and leads a band of ‘lost boys’ who have adventures battling pirates and occasionally meeting ordinary children when they venture outside of Neverland. This publication from Boomer Books is specially designed and typeset for comfortable reading. Similar to Peter Pan, Blinky Bill is also a mischevious boy (just in the form of a koala). He is a national icon and one of Australia’s most well loved and best known characters. His friends are well known Australian animals such as his kangaroo friend Splodge, his platypus friend Flap, Marcia the marsupial mouse, and his mentor Mr Wombat or Wombo, as Blinky prefers to call him. In general throughout the stories he does things that are realistic for koalas as well as things that child readers would like to do. The author speaks directly to the reader through the stories. Great for younger readers. 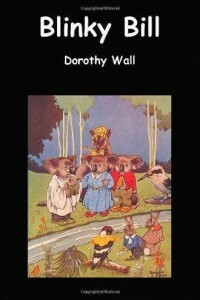 Blinky Bill is a koala with a big imagination. An adventurer at heart, he dreams of leaving the little town of Green Patch and following in his explorer father’s footsteps. Mr Bill went missing in the Outback some time ago and Blinky is the only one who believes his father is still alive. When Blinky discovers a mysterious marker that hints at his Dad’s whereabouts, he embarks on a journey that takes him beyond the boundary of Green Patch and into the wild and dangerous Outback. He quickly makes friends with Nutsy, a zoo koala, and Jacko, a nervous frill-necked lizard. Make sure you download the app so the kids can add Blinky Bill characters to their photos and movies! Matilda Wormwood’s father is a mean crooked crook. And her mother’s just plain stupid. 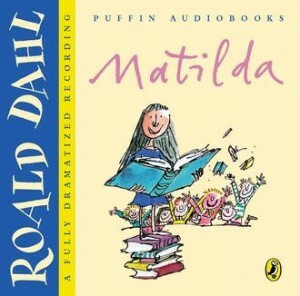 They think Matilda is a nuisance who should watch more TV and read fewer books! But her lovely teacher Miss Honey thinks Matilda is a genius. Matilda has a few extraordinary tricks up her sleeve, so her horrible parents and even more horrible headmistress had better watch out. Matilda The Musical is the multi-award winning musical from the Royal Shakespeare Company, inspired by the twisted genius of Roald Dahl. With book by Dennis Kelly and original songs by Tim Minchin, Matilda The Musical is the story of an extraordinary little girl who, armed with a vivid imagination and a sharp mind, dares to take a stand and change her own destiny. Winner of 50 major international awards, including 12 for Best Musical, Matilda continues to delight audiences both in London and on Broadway before arriving at the Sydney Lyric Theatre from July 2015.